Adapts from 6-bolt pattern to 3-bolt pattern. These Conversion Adaptors are machined from 6061 Billet Aluminum. 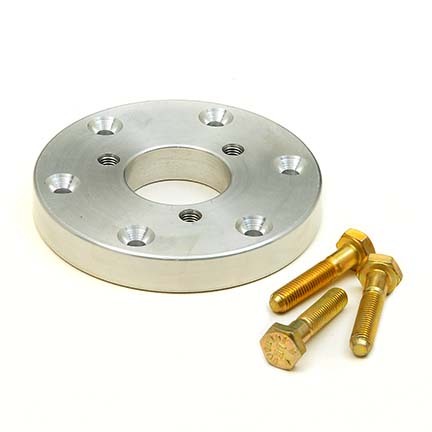 Use with GT3 wheels or 3-bolt aftermarket wheels to mount to aftermarket 6-bolt hubs.